Hey, I love the stitches and the videos you make! All the knitting projects i have done, i learnt from you XD. 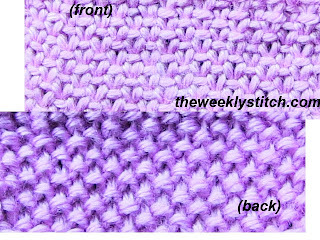 I was wondering if this stitch needed an edge stitch? Will it curl up if i don't have an es? No, it doesn't curl. I really don't think the edges are too bad looking, but that is a matter of opinion. You'll have to do a swatch to see what you think. Love the birds singing in the background too. The slipped st on each end of the row make for a nice clean edge on work. 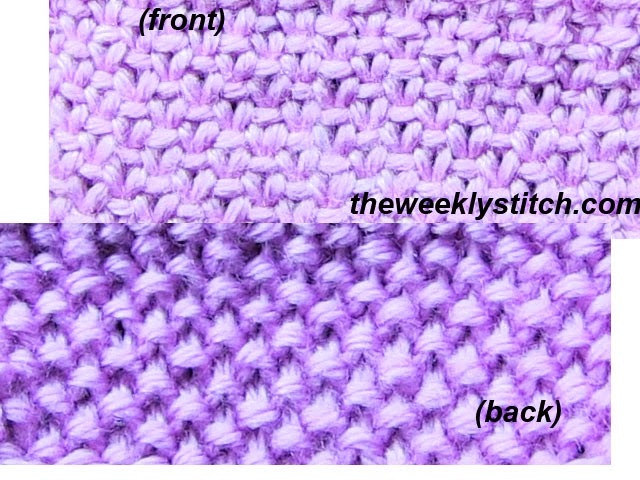 I saw instructions for Linen Stitch, worked in multiples of 2, that had the last st of each row knitted or purled. :( This version is so nice! If I wanted to make this into an infinity scarf, what's the best way to bind off and seam it together? Haha, the easiest way would be to knit it in the round and avoid the seam. Otherwise I would just knit maybe two plain rows at the beginning and end then whip stitch the ends, or use mattress stitch (I have a video on that). Awesome thank you so much. I usually can't do my infinity scarves in the round cause I make them pretty long so I've been trying to figure out how to connect the ends without it looking gross. And another question: many of my scarves and blankets have unraveled a bit. Nothing dangerous just some of the yarn is sticking out where I finished. Any suggestions on how to avoid that?